October 3, 2018 - Round Rock, TX — On their 2,500 mile journey to the NACS Show in Las Vegas, Frank Beard (GasBuddy) and Al Hebert (Gas Station Gourmet) made a pit stop at High Country Market in Round Rock, TX. TFFA's Paul Hardin and Jesus Azanza joined the road-trippers along with Gray Taylor, Executive Director of Conexxus. High Country Market (HCM) is a specialty market/cafe offering burgers & sandwiches, craft beers, wine tastings & patio seating. Oh, and did we mention they sell fuel under the Exxon brand? The uniqueness of the store focuses on offering customers an experience like no other. Whether you're there for a .99 cent fountain beverage, $200 bottle of wine, candy bar, or 18 month aged cheddar cheese — HCM offers one of the most memorable dining experiences you can find in Central Texas. Visiting with HCM owner Zahir Walji and hearing his personal story was the highlight of the evening; however, the food and beverage selection were a close second. Independent operators make up a majority of the c-store market, with roughly 68% owned and operated by "mom-and-pop" shops. TFFA is constantly reaching out to owners like Zahir to better understand the needs of the independent operator so that the organization remains a viable source of information and representation for small scale businesses. Next week, TFFA staff, like many of its members, will attend the NACS Show in Las Vegas. For TFFA, the NACS Show is a great way to make connections, grow its retailer network, and see the latest products and services — all while attending dozens of wide-ranging and informative education sessions. 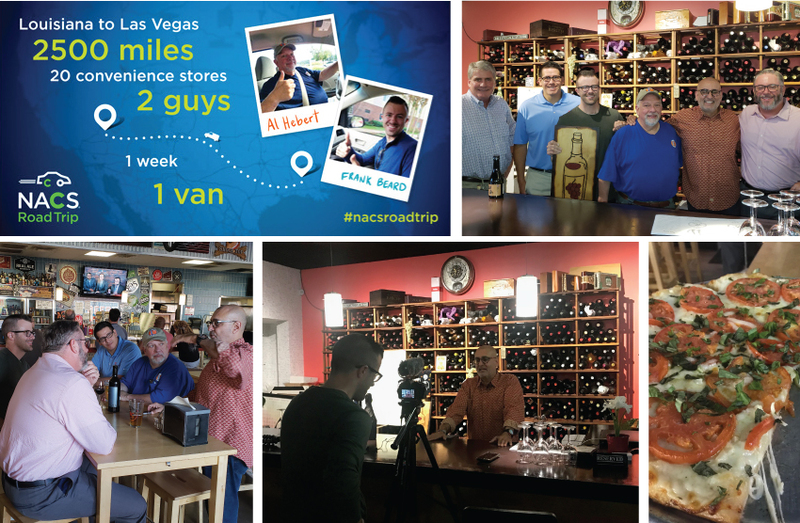 More the #NACSRoadtrip, including a video of TFFA's visit at HCM will be available soon.